The NFL team, which conducts business under the name Pro-Football, Inc., filed the petition on Monday. The Redskins were told by the U.S. Patent and Trademark Office in June 2014 that the team could not trademark its name because federal law prohibits the registration of anything "scandalous, immoral, or disparaging." But the team saw another chance in December when, in a separate case, a federal appeals court ruled in favor of The Slants, an Asian-American rock group that wants to trademark their name. That case challenges the same piece of U.S. law that the Redskins' case does. But the government has asked the Supreme Court to overturn that ruling, and now the team is asking to have its case be heard alongside the Slants' case. 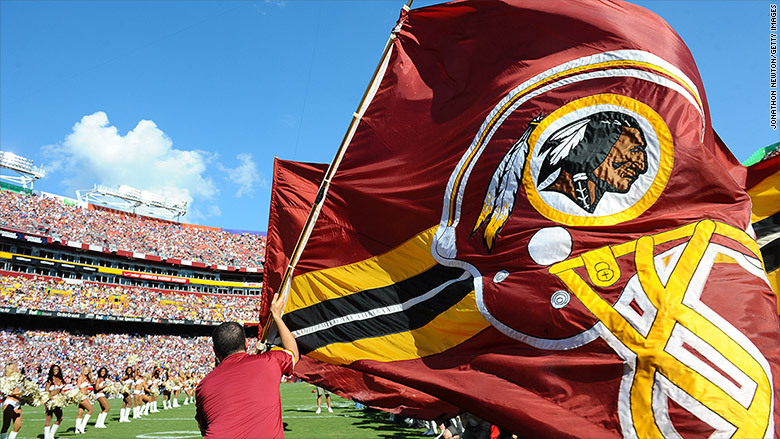 Revoking its trademark does not mean the Redskins won't be able to keep its name, but losing trademark protection would allow anyone to sell goods with the Redskins name or logo without paying the league as they now must do. Redskins team owner Daniel Snyder has insisted the name is not offensive to Native Americans, but many Native American groups dispute that and have fought the trademark in court. Some politicians, including President Obama, have urged the team to change its name.